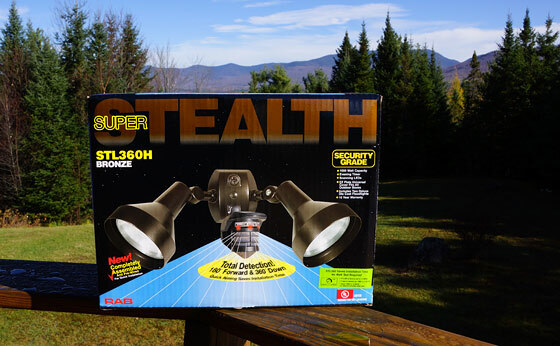 I have no doubt whatsoever – THE best outdoor motion sensor lights: RAB Super Stealth 360, made in the USA. RAB makes the highest quality consumer motion sensor light on the market, in my opinion. Why do I say that? I have installed lots of them! Moreover I have been completely satisfied with their outstanding performance over the years. 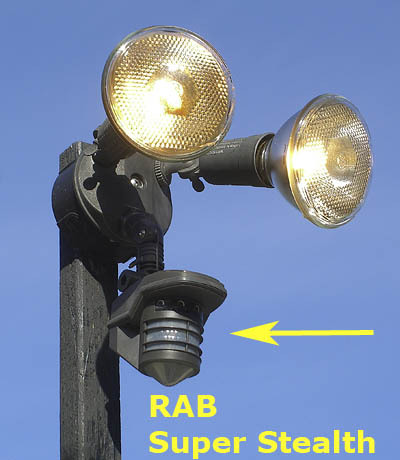 (UPDATE) Updated for 2019: The RAB outdoor motion lights that I have installed have been in service for many years without any problems whatsoever! (UPDATE) I’ve also updated the LED Flood Lights information (below) confirming they’ve been operational for several years outdoors (all sorts of weather) with no issues at all. What makes the ‘RAB Super Stealth 360’ the best outdoor motion lights? I installed several more of the RAB’s to beef up my home security. They compliment the motion sensor lights that I installed a number of years ago. I was pleasantly surprised to discover even more improvements to this stellar product! There are several criteria when choosing, and this one has it all. I mounted this motion sensor light on one end of the deck. The other ‘RAB’ is mounted on the other side. I have a total of four covering the entire perimeter of the house for better security. Burglars ARE deterred when a motion light is triggered. The RAB Stealth will detect out to 60 feet! The primary motion light sensor (there are 2 built in) has very long distance sensitivity compared with other cheaper brands. 60 feet detection in a 180 degree pattern on primary sensor. This criteria is very important to me because I want the earliest notification and deterrence possible. High quality motion detectors pay off in this area – the maximum distance possible. 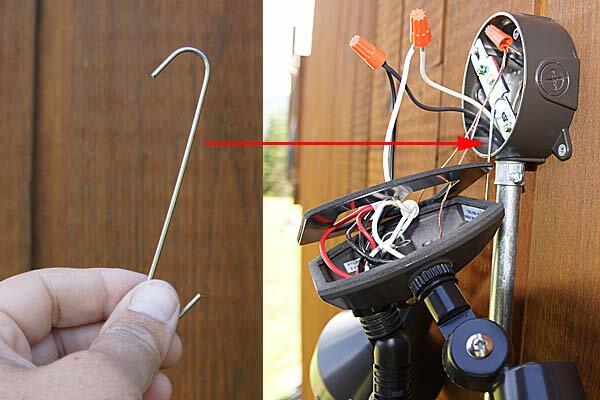 The RAB has two sensor detectors! One reaches out for distance as mentioned above. A secondary sensor ‘looks’ BEHIND, including UNDERNEATH and itself has a reach of about 10 – 15 feet. Combined with the 60 foot reach of the front 180 degree swath makes it a true 360 degree motion light! Outdoor motion sensor lights are also rated by their detection pattern. That includes sensor coverage width – their sensing angle measured in degrees. For ultimate security protection a 360 degree full circle coverage is absolutely the best. This will leave no dead zones whatsoever. There is NO sneaking up on this motion light without it turning on! 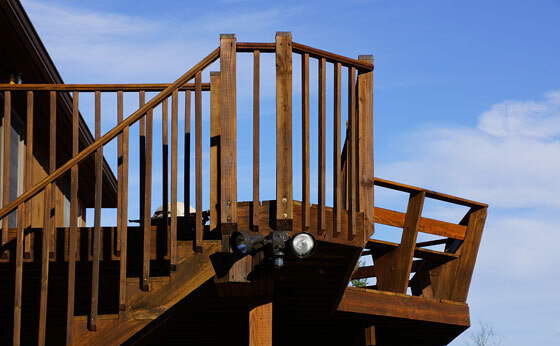 The outdoor temperature affects motion sensing ability. The RAB Super Stealth automatically adjusts for outdoor temperature to optimize motion detection regardless of the degree of hot or cold. Built in surge protection up to 6,000 volts will protect your investment. This could be caused by voltage spikes from thunderstorms, lightning, power tools, etc.. This motion detector is protected from Radio Frequency interference potentially caused by wireless and other devices. Three Red LEDs are always scanning across the face of the motion detector. This feature itself is a great deterrent! An outdoor motion detector light is also rated by how many watts (adding up the total watts of the bulbs). The typical maximum for outdoor motion detector lights is usually 300 watts (e.g. two 150-watt bulbs). The RAB Stealth can switch up to 1,000 watts by adding additional external fixtures. Today’s LED flood lights only require a fraction of the power requirements! It’s not that difficult to install an outdoor motion light for an electrician or those who know what they’re doing. With that said, some light fixtures are easier to install than others. For the sake of my own nostalgia, here’s my first RAB motion light from about 10 years ago. I upgraded my existing motion light at the time with just a RAB sensor (which you can purchase separately). There are additional features too, but those listed above are important to me and part of the reason I choose their motion lights. A very important part of general preparedness is one’s home security. 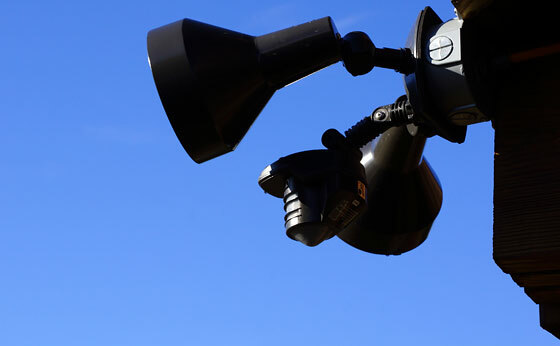 Outdoor motion lights are one of the best deterrents you can have for a first level security defense at night. Note: I have a background in electronics (among other things) and installed these motion lights myself. I can tell you that RAB has made it very accommodating for the installer (or electrician). There are several thoughtful and helpful inclusions to make the installation go smoothly. 1st class all the way. Remember, “you get what you pay for”, and this one is worth the money. In fact, it’s so good, that I have been inspired to post this review and recommendation to you for your protection and security. Back in my retail lighting days sold a lot of RAB was a great product back then also. I do not have these lights at this time but I am in the market for some replacements on our old but new to us home. What is your experience with the LED bulbs and these fixtures? I have been using LED flood light bulbs on all RAB Stealth sensor (specifically those mentioned in the article) for years. I have had ZERO burnouts of either the bulbs or the sensors. And that’s in weather extremes from the -30’s to the 90’s. I may try and contact them myself to get a more technical explanation. Given my experience, I have had no problems with LED bulbs in those fixtures. this is good to know (your experience with them) I used a different LED when we were in FLA but they weren’t that good. It may have been the big box store fixtures also. The comment from the reviewer didn’t sit well with my partial electrical/electronics brain also. To me, it would require these led bulbs to be generating a field or some kind of feedback to damage the sensors if that is at all possible. I believe I will give both the fixtures and the LED bulbs you recommend a try and we will go from there. Great site, one of my favorites, and I’m here most days. Also, given that a motion light will only be ‘on’ for a few minutes – maybe 10 – before it’s off again, doesn’t use that much electricity. So using LED flood lights instead of ordinary tungsten filament floods only saves a little bit. To me, solar is essential. I live in a very safe area unless something really bad happens. If the power goes out, that is when I will need security lights. All of my motion detector lights and other outdoor lights are solar. I installed one a few years ago and bought LED floods for it. I haven’t had any problems. It’s installed under the front eave of my house in NW Georgia. I have RABs with LED bulbs on five corners of my house and they work great. I highly recommend these light fixtures as they are worth the price. Thanks for sharing your positive experience. 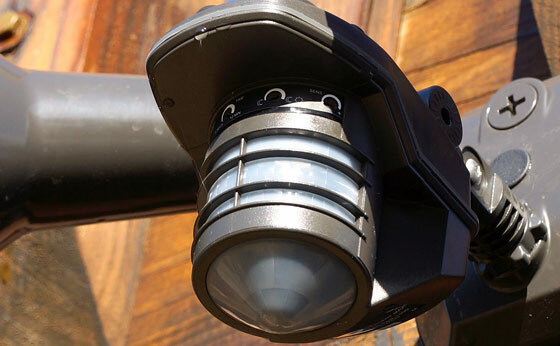 I have a number of articles on these motion sensor lights here on the blog – because I’m so convinced of their superior performance. Home security is important. And these RAB’s are a very good way to illuminate the perimeter! Wow, an electronic item actually made in the U.S. ! I purchased these lights after reading your last write. All i can say is, pay the money and get these lights. Everything about the lights are true. These are the best you can buy. Along with Led bulbs, perfect combo. I live in the woods and did not like the standard color lights of 4000k or higher. I use bulbs that are 2700k. Nice warm light for the woods. I am thinking of getting the RAB SUPER STEALTH for my daughter. She has a front garage with about a 20 foot drive and another 10-15 feet to a street with a lot of traffic. Will she be able to adjust sensors so the cars going by do not cause the lights to go on all the time? I want her to have a good system because she recently had her car broken into in the driveway. Yes, there is a sensitivity adjustment for the range/distance on the RAB Stealth.